iPad Apps for Toddlers: Who said that technology may not be able to create beautiful moments of fun, growth, interaction and also of union between parents and their children? It is true, traditional games before, dolls for girls and soldiers for boys still retain all your charm and value. But in the age of the Internet, multimedia can be a great help also in times of evasion. Just a few clicks, a second waiting for the download and we can have a number of applications downloaded on our iPad and iPhone devices to entertain and educate our children. We have the best collection of apps which we can use them the right way. These apps have been very well used by the other toddlers and they are specially designed for toddlers to make the gameplay easy. These are the following apps which we will discuss in detail. So these are the best 10 iPad apps for toddlers and let’s check them in detail. Will your oldest son be a great chef? Put it to the test. Just download My Little Cook, the application compatible with iPhone and iPad that will stimulate interest and curiosity in children in the world of cooking. With this app, you can transform yourself into a small chef and prepare a real recipe from start to finish. An educational game because you can learn the composition of what you eat and the importance of some foods in growth. The proposed recipes are all healthy and selected by a nutritionist. The application is suitable for children from 4 to 10 years. The coloring is a palette of multimedia painting for small artists. A simple and intuitive application to entertain our children by playing with colors. More than 50 different images and divided into three categories: drawings, nature, and Christmas. Many colors to use and different brush sizes to choose from. All drawings can be saved in the photo album. 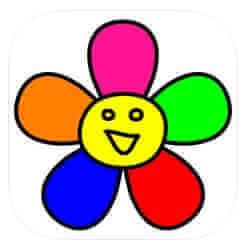 In short, an application for creative children with many pictures to color! Only for iPad, available in the Apple store. Many fun and varied applications to spend moments of relaxation and serenity. Among the most sympathetic, we highlight Wombi Towwe, to be good builders of towers or Wombi matt, to learn playing, to make the first calculations with numbers. Available for both iPad and iPhone. 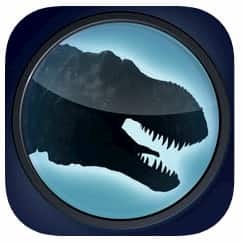 Dinosaur Zoo is an application specially created for all children who love the world of dinosaurs. Lots of fascinating information with interactive animated graphics to learn about these extinct animals millions of years ago. On the same prehistoric genre, we also indicate Tyrannosaurs and Dinosaurs 360. Compatible for both iPhone and iPad. Another good application to free the artist who hides in his son. 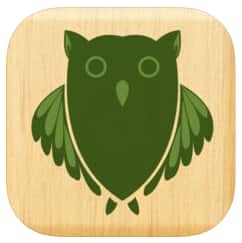 Designed for both iPhone and iPad is free and easy to use application for children around five years. 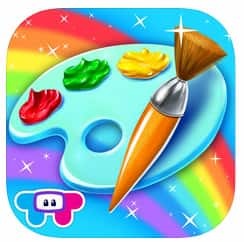 With Little Painter, you can choose between 30 different types of brushes, more than 50 images of customizable stamps, and a selection of comic images to add more fun to draw. The application allows you to save everything on the iPhone and iPad to see it again in the future or to teach it to friends and family by sending it by e-mail. Didakto Classic is a fun and educational game for school children. The objective is to answer questions of different genres by dragging them with the finger in the boxes with the correct answers. A photo in the form of a puzzle is shown, which is joined only if the answers are correct. The game has a simple user interface and there are no time limits, no ratings. Children can play and learn at their own pace. It is only compatible with the iPad. One of the most downloaded applications by parents. 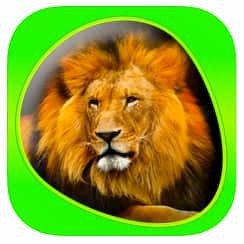 Many animals on the iPhone and iPad, with high definition images, real sounds, a series of set visits, contests and puzzles of different difficulty. Children and adults can have fun leafing through pictures of their favorite animals and meet those who did not know they existed. The zoom function allows you to see all the details of the animal. There are also 4 tours, where you can “walk” with the animals in their habitats. With Animals 360 Your child can really learn all about animals while having fun. It will test your knowledge through simple and intuitive visual/sound contests and have fun recomposing the image of each animal with the puzzle. The possibility of changing the difficulty level will allow an appropriate use for any age. Your children will never want to stop learning. 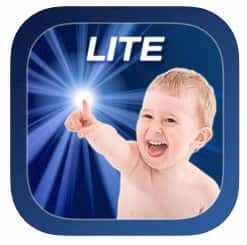 Sound Touch Lite: more than 2 million downloads at present. One of the funniest applications, which allows you to play with the touch of your fingers. Touching an image, in fact, opens a real photo of the object, along with its characteristic sounds or noises. Playing with the application, something even more sympathetic is discovered: each object has not one, but 5 real images and sounds! Finding something new with each touch is great to keep children’s attention. The section of musical instruments presents famous melodies of classical music. Children can listen to up to five different pieces with a simple touch of a piano or trumpet. The tap on the drum presents the drums, bongos, band drums and timbales. Between boats and fire trucks, sheep and monkeys, accordions and violins, impossible for children to get tired of this game! For iPhone and Ipad. Pettson’s Memory: a memory game, compatible with the iPhone and iPad to develop and keep in mind the minds of your children. Inside there are several game modes and children. In addition to training their memory, also have the opportunity to learn new things. Help the young Filby find all the pieces of the machine and restore order in spacetime! The Time Machine is an application to travel through time and space and discover scenarios characterized by incredible realism. The scenarios to visit are incredible: we can go to ancient Egypt, or to the Middle Ages, but also jump to the future. Hence, You have got all the apps for toddlers which are the best in the market. Each and every app has been checked and placed on the list. We hope your children will love to use these apps and learn a lot from them. Feel free to ask your questions in the comment box below. Stay tuned to cracko for more awesome articles.